Many services exist to help caregivers serving seniors, these women and men who take care of their loved ones with decreasing independence. Unfortunately, these little-known resources are not always used by those who need it. In 2018, l’Appui reached out once again to Wink Strategies to design a national communication campaign to increase the access to dedicated services for caregivers serving seniors and to facilitate their daily lives. To increase access to resources for caregivers serving seniors, all while respecting the lines of communication established in the 2016-2018 plan, the agency has devised various advertising concepts. After a consultation phase including focus groups with caregivers, the chosen concept consisted of a caregiver-senior dyad testimonial to discuss their common experience accessing services. The idea to use an ambassador to convey the campaign’s message also emerged to help spread the message as effectively as possible. 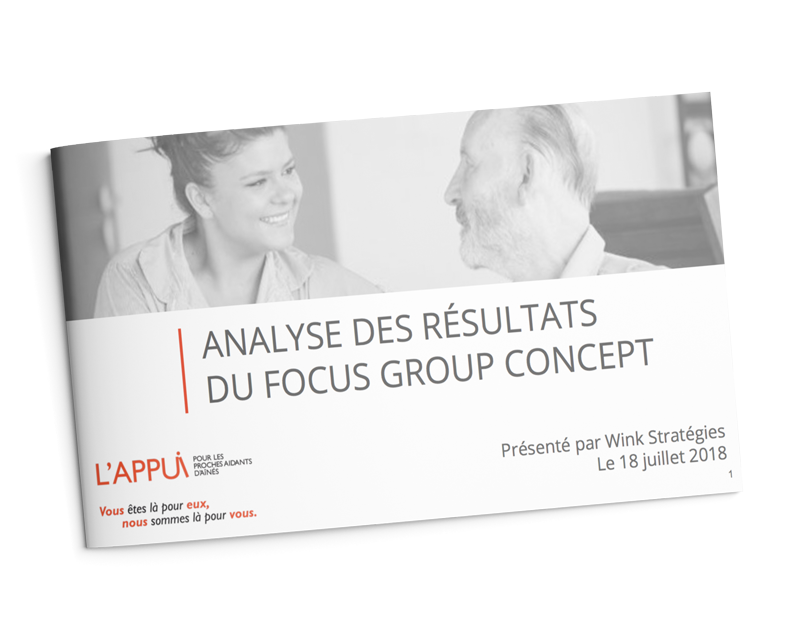 Once the “Du soutien à portée de main” concept was created, Wink Strategies took over the entire strategic and operational planning of the campaign. – With printed material, in the press, on urban property and on city buses.